Over the weekend, a generous array of Star Wars: Episode IX concept art made its way online that teased everything from new aliens to Richard E. Grant’s First Order uniform. 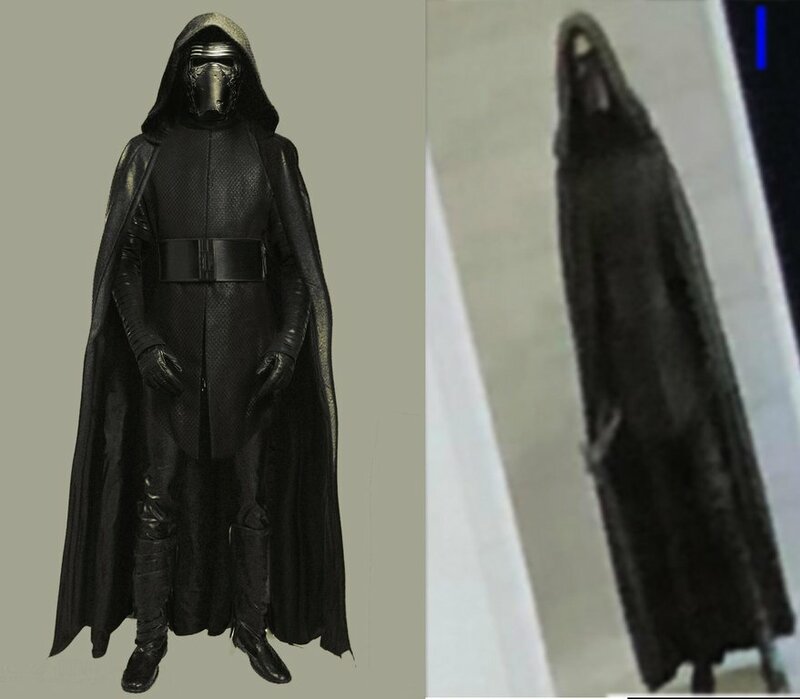 The leak even included a blurry little image of Kylo Ren’s next outfit, prompting one fan to offer their impression of how a clearer version of this pic might look. Coming courtesy of Reddit user AndrewBurt120, the artwork, while speculative, still offers a very nice illustration of Kylo’s potential design in J.J. Abrams’ upcoming film, though one detail that seems to have been overlooked in the new image is the lightsaber that’s visible in Ben Solo’s right hand. There’s also been some debate in the comments about whether or not the mask should have a few red fissures in it, much like we saw in another leaked image that showed a repaired version of Kylo’s helmet. As it stands, it’s unclear whether the villain will once more be putting on the headwear he smashed near the beginning of The Last Jedi, or if he’ll instead wear a new but similar design in Episode IX, though either way, the evidence is mounting that a repaired version of Kylo’s helmet will be showing up in some way or another. In any case, with the director of The Force Awakens returning to the helm, you can expect Abrams’ next film to contain quite a few points of symmetry with the 2015 flick as the Star Wars Sequel Trilogy comes full circle. One popular rumor, for instance, is that the Knights of Ren will be making a comeback, and we can expect some confirmation on this claim when Star Wars: Episode IX hits theaters on December 20th, 2019.